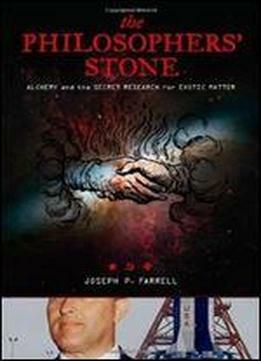 Prolific author Joseph P. Farrell, who commands a growing and devoted audience on Coast to Coast AM, Erskine Overnight, and other programs, initiates his Feral House association with The Philosophers Stone, in which he demonstrates the connections of modern physics and ancient alchemy by investigating monatomic gold, the work of Russian astrophysicist Nikolai Kozyrev, and the fuel for the mysterious Nazi "Bell" device, Serum 525. Farrells previous books investigated the scientific and astronomical implications of ancient monuments and the secret space operations of the Nazis who were brought into NASA to continue their highly classified research as a result of Operation Paperclip. The author is now working with best-selling authors Richard C. Hoagland and Mike Bara on a book about secret American space programs.